Whether you already have your own meaningful family traditions, or your family is new and you need some inspiration to create some, these resources can help. Plus, read about some of our favorite homestead family traditions! There are over 15 tradition-starter ideas here, as well as tradition-building books for you to read for further inspiration. Take the time to build some new family traditions this year! If family traditions and holidays are your THING, be sure to sign up to be the first to learn about our upcoming book, Homestead Holidays! You’ll be privy to special discounts, free samples and fun extras by joining our Holidays newsletter. All throughout my childhood, my family was adamant about our traditions. The first fire of the season was lit on Halloween, even if that meant we turned on the air conditioner. (I’m from California so the air conditioner was on a lot come Halloween.) We read scriptures and a “fun” book every night, Mom lying in the hall between our bedrooms as she read out loud. We camped every year at the same KOA in Watsonville, California and visited the freezing cold Pacific Ocean rain or shine. And, of course, like every other family who keeps them for special occasions, we ended up using the “good dishes” under no circumstances. I have veritable armies of memories that sweep down my consciousness like Tevyah belting out “Traditions!” at the top of his lungs. Childhood was a a tricky thing to maneuver sometimes. Knowing what came with the next month or the next season was always a source of comfort to me. Part of my personal cannon, includes an admonishment from a prophet of God to seek after the best traditions and leave less illuminating ones behind. Thereby passing on wholesome traditions to the next generation. Which Traditions Have the Most Value? Even as a child I knew that one day, I would want to give the gift of a steady stream of traditions to my own children. I also knew that I’d need to include traditions from my husband’s family. As well as new ones from other cultures and peoples that were also worthy. The question became, how do I sort through all the possibilities to find the best ones that would help me grow a family? Sometimes this can be answered simply by doing digging through some family history. For ideas on how to involved children in that, please visit this post. You may discover, as you learn the stories of your family’s past, that your great grandparents had traditions from their childhood that can bring joy to you today. For some families, the best traditions are the simplest ones. Angi from Schneider Peeps enjoys movie and pizza night with her family each week- love her post about it here. Can’t you see the brick oven and hear the Sinatra? Ever named a turkey Malcolm? Whether you’re religious or not, having the tradition of at least one day per week of rest can be so beneficial for a busy family or individual. For a Christian or a Jew (and others with holy rest days), the Sabbath is a sacred day. It is set apart from the other six days of the week. Or, at least, it’s meant to be. Sabbath days look different from family to family. However, at its core, on the Sabbath there is a cessation of the daily toil that usually consumes our days. In my house, that means that I prepare simple meals (dinner usually comes from a slow cooker). We all refrain from unnecessary chores (though the animals are still milked and fed). If I can do a chore the following day, I do. We don’t really “laze around”, but we do move slower, sit more often and keep things on the down-low all day. Sabbaths are also a good time to engage in activities that are worshipful, reverent or feel appropriate to you. We will sometimes “work” on family service projects. These activities may require a bit of clean up, but the heart of the work preserves the feeling of devotion and peace. and a special family night. Our religious congregation meets on our Sabbath, so we also go to church that day. Even if a religious Sabbath isn’t in your family traditions, I encourage you to start a new family tradition by setting apart one day a week for family togetherness. Chris, from Joybilee Farm, talks about the importance of a rest day for busy homesteading families in this post, here. If birthdays have never been your thing, that makes them a great place to start when it comes to developing family traditions. I’m not big on blowout birthday parties, lots of gifts and too much sugar, to be honest. I prefer much simpler affairs that focus on the person. You may be different and love a big bash, and that’s super, have so much fun! However, here are some simple ideas for making birthdays special. Without going overboard. Creative With Kids has some birthday boy or girl relevant traditions to think about – click here. I would never presume to intrude on the special family traditions you already have in place for your holy day, or holiday, celebrations. Even families with few traditions will usually have special food traditions for the holidays, if nothing else. However, it can be fun to learn what other homestead and farm families are doing. We have a tradition in our family for Christmas that is actually held in June. It’s called Leon Day and it’s the day we do our family name drawing for Christmas gifts and gather ideas for homemade gifts. You can read about that here. Here’s a fun recycled gift wrap tradition from Attainable Sustainable. We celebrate each of the Sundays of Advent, too. You can read Homestead Honey’s traditions with Advent here. Every year we put out a crèche, or two – or three. I really love them for some reason. You can read about how to make your own nativity sets here. From the beginning of fall through Christmas, we also do several service projects. Making scarves and hats to donate, and gifts for children like dolls. We also made baby quilts one year – that was so fun, even though I’m really not much of a seamstress. These projects help us stay focused on gratitude and joy at these times of year when it’s easy to get distracted. And so many others. I hope these ideas give you your own to run with. Really, you are the best person to decide what will work in your family. I encourage you to try a variety of different traditions from around the world. Over time, decide which ones are the most meaningful for you. And, of course, you’ll need a great book. We’d be pleased if you checked our our very own, Five Kernels of Corn! 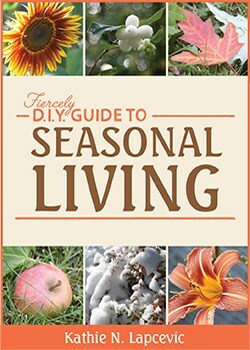 This makes a great homeschool unit study for the season, or simply a fun thing to work on with your grandkids. Being thankful is a deliberate way to be; we like to think we can help you out with that. And, of course, there has to be a Christmas book to go along with that! Let us help you plan, prepare and execute a special Christmas this year. Mrs. Sharp’s Traditions is a simply lovely book comprised of Victorian based traditions, adapted for the modern family. The book does NOT have a modern feel to it, though, which I love. The information is organized by month, taking you through the year. The book includes beautiful pictures, interesting history regarding holidays and a warm, cozy feel throughout. She also has themed party suggestions and crafts, as well as recipes. Festivals, Family and Food is another great one, especially for you Waldorf enthusiasts. It’s companion book, The Children’s Year, is a worthy sister. Both are full of crafts and activities that follow the seasons and holidays. The authors are British, which make them an even more charming read for this Anglophile. The Children’s Year has a greater focus on crafts, especially knitting and yarn crafts. The Festivals book includes snippets from literature and recipes. I like both but if I had to pick one, it would be Festivals, Family and Food. We’ve also enjoyed learning more about Jewish holidays with this book, The Family Treasury of Jewish Holidays – lots of stories, recipes and crafts! As Christians, we’ve really improved our Easter celebrations by celebrating Passover. We’ve made several of our holidays more meaningful by observing the yearly Jewish festivals in our own way. Can you tell I have small children? Kids are like sponges full of Greek fire. They soak up everything and the more you throw on, the bigger their fire gets. They are so willing to be thrilled by all they learn. I’m always so grateful that my best friends are all under ten years old because nothing is ever dull! Speaking of never dull, there’s a book we enjoy so much we keep it out on an easel and turn the pages from month to month to follow the year. This book is penned and illustrated by one of my all time favorite authors/illustrators/gardeners, Tasha Tudor. Just the title alone is inspiring, A Time to Keep . It follows a grandmother through each month as she tells her granddaughter all the delightful things they did in “the good old days”. With journal prompts, crafts, recipes and more this book will gently take you through the year. I’m grateful for any chance to remember there is a time to every purpose under heaven and I am to practice being thankful in all things. I am also grateful for the family I have and the traditions that root me to them. I am yet more grateful to be surrounded by great books and great mentors so that each day I can improve and strengthen the ties that will bind us no matter what is happening in the world around us. So here’s to the heart of any homestead – the home. May you make friends with many new and wholesome traditions this year! What a great list of books! We don’t have lots of traditions but the ones we have are really meaningful to us. Thanks for sharing at Non-Fiction Book Love, https://www.schneiderpeeps.com/2013/05/non-fiction-book-love-monthly-link-up_29.html. Hope to see you again next month. Yes, a fantastic list of books! I’m so glad you shared this at Motivation Monday. As soon as I read your reference to Fiddler on the Roof, I immediately started playing it on Spotify. I’ve heard of a few of the books. 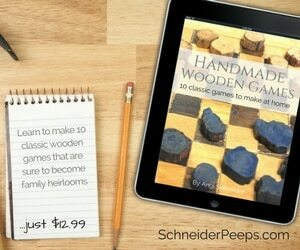 I’m adding them to my Amazon wish list since I’m making traditions and craft time with the kids a priority again. FYI – I’m featuring your post on this Monday’s Motivation Monday. Thank you so much for the feature! If you come across other good books on family traditions, I’d love to know about them. It seems like something that should just “happen” in our families but traditions take time and energy and thought – especially for mom!! These are all such wonderful suggestions for traditions! Thank you for the suggestions and also for the list of books. I am always in search of new books to read. One tradition I had done when my sons were small, was to give them a nutcracker in the evening after the Thanksgiving meal was done. Now that all three have flown the coop and have homes of their own, they decorate their mantels with the nutcrackers and it makes me feel so happy. At this point I have four grandchildren and have continued the tradition, but instead with ornaments. Every year, after Thanksgiving dinner, I present them with engraved Christmas ornaments. One day, when they are on their own, I will enjoy seeing their Christmas trees. Memories! That’s beautiful, Vickie – thank you for sharing! I love the idea of all those nutcrackers lining up on mantles and your sons remembering. I guess that’s the point of traditions, right? To help us REMEMBER – because there’s so much else vying for space in our brains. I try to get an ornament for each child every year, too. I have every intention of organizing them into their own special boxes but, so far, it’s all kind of a mess. Whatever – they go up on the tree, the kids are excited to see “theirs.” I figure organization can come after cocoa and White Christmas.